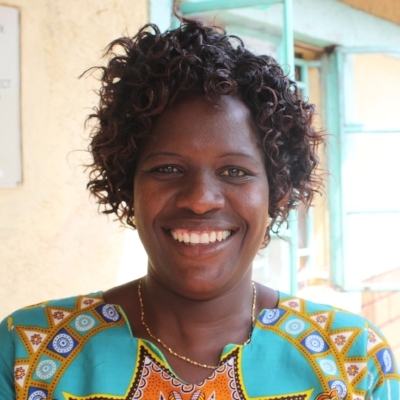 From a young age, Jesca Kukutia Naeku knew she wanted to be a teacher and found a passion early on for working with children who needed a little extra help in the classroom. Since 2016, Jesca has brought that passion for children and learning to TKP’s Intimigom Primary School as the school’s first dedicated remediation teacher. In her role, she guides primary school students in subjects like reading and math and also helps them build important classroom skills, including listening and following directions. Each day, Jesca pulls out small groups of students or individuals for the one-on-one attention they need to excel in the classroom. In 2017, 86 students began the school year getting extra help from Jesca and by the end of the year, just 12 remained in the remediation program. Jesca works with her students, but also the teachers to ensure that all students continue to improve at their own pace, while meeting grade-level expectations. Her ongoing collaboration with the classroom teachers helps them to implement teaching and learning strategies that can benefit all students in a classroom setting. TKP seeks to get students into school the right age, and keep them there. Through Jesca’s dedication to students and partnership with Intimigom teachers, all students are growing and learning in a supportive classroom environment.